At Birds of a Feather, nature is at your doorstep. Your backyard is a 120 acre lagoon, you’re surrounded by a 545 acre west coast forest, and your neighbour is the Hatley Park National Historic Site. Experience over 15 km of hiking trails, 4 km of beachcombing, a private dock, canoes, kayaks and bicycles. Birds of a Feather is a purpose built bed and breakfast that is just as delightful as its surroundings. It’s private, luxurious and tastefully appointed for families and honeymooners alike. 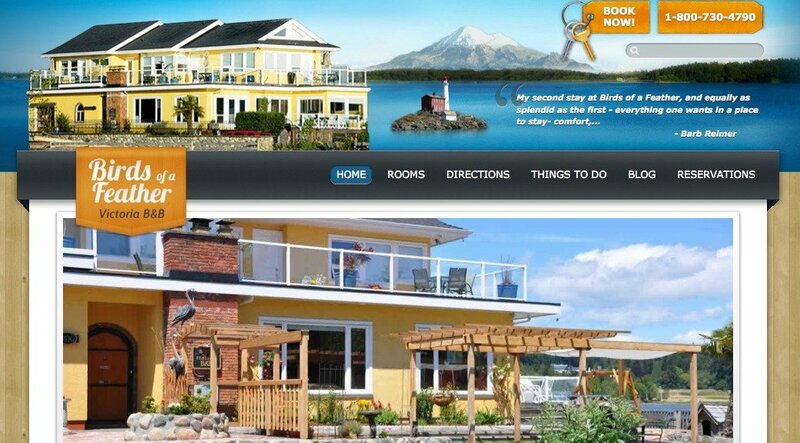 Located in Victoria, BC, Birds of a Feather is an amazing getaway that is close to the city, but just as close to nature.